To mark the start of the new academic year, players have been delivering new equipment to schools as part of the Premier League Primary Stars Kit & Equipment Scheme. The PL Kit and Equipment Scheme is available to primary school teachers who register to participate in the PL Primary Stars programme. The equipment bag contains match balls, training bibs and pop-up goals as well as bean bags, numbered cones and A-Z floor markers to help the children learn as they play in active lessons across all subjects in the curriculum. 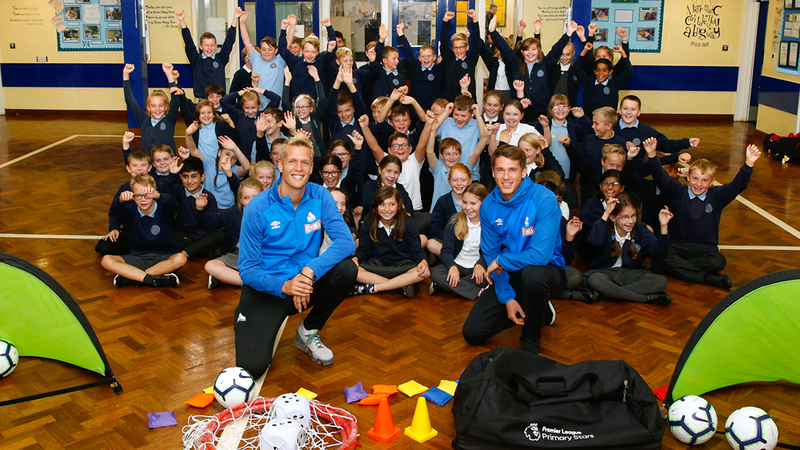 Kirkheaton Primary in Huddersfield not only got a new equipment bag but also a visit from Terriers first-team players Jonas Lossl and Erik Durm. 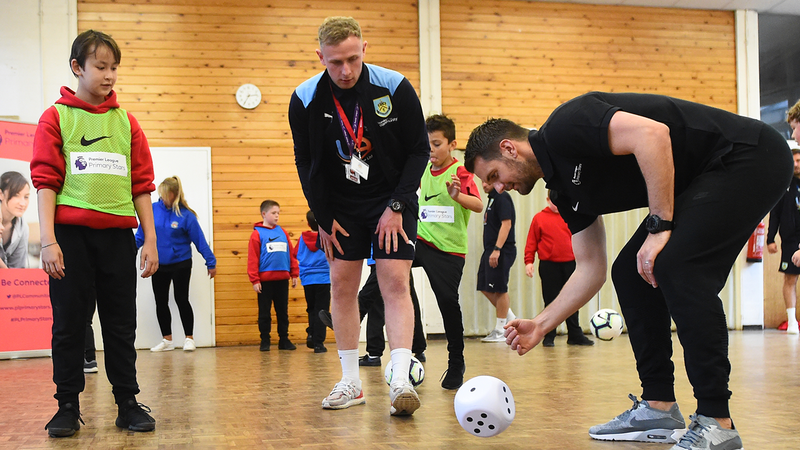 Burnley goalkeeper Tom Heaton joined in with the children at Whittlefield Primary to see how that equipment can be used in lessons. Southampton defender Wesley Hoedt was impressed as the children combined physical and academic activity during a PE lesson at Swaythling Primary. Newcastle United are one of 101 Premier League, Football League and National League clubs in England and Wales that deliver PL Primary Stars. 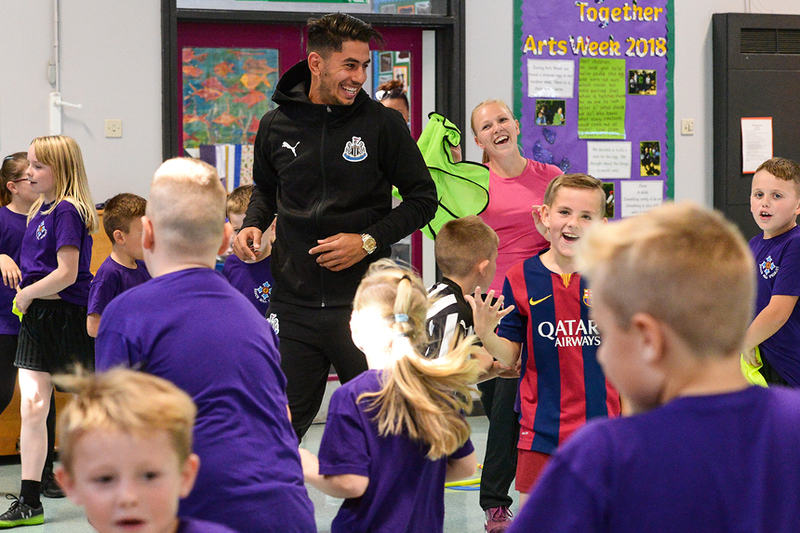 Magpies forward and Newcastle United Foundation ambassador Ayoze Perez helped to deliver equipment to Beech Hill Primary. Spurs defender Kieran Trippier helped out in a PE lesson after delivering a bag of PL Primary Stars equipment to St John Vianney Primary School in Tottenham. 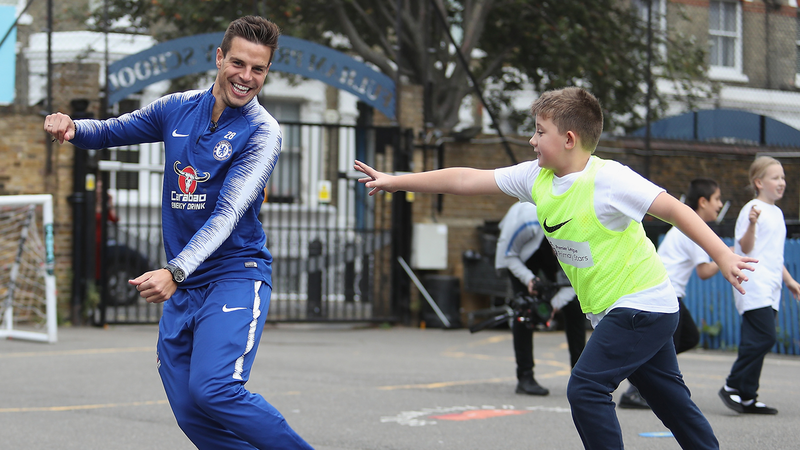 Chelsea defender Cesar Azpilicueta spoke with children at Fulham Primary about what it takes to be a professional footballer. "I think it's important the kids know that they are at that stage where they have to study in school and enjoy playing football," he said. Schools across England and Wales have also started the new term with brand new Nike football kit pack, which contains 14 football shirts, one goalkeeper shirt, 15 pairs of shorts and 15 pairs of socks. Teachers can apply for the Kit and Equipment Scheme by visiting the PL Primary Stars website. The window is open until Friday, 26 October.